The Race for Equity: Choosing the Right Loan Program - The Mortgage Place, Inc.
Those who take property ownership seriously often look for options to build equity at a faster pace. 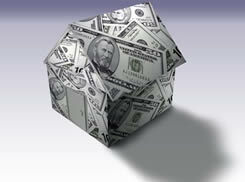 An aggressive approach is to select a 15-year loan program over a 30-year mortgage. A 15-year loan works well for home buyers budgeting time and money, those who are possibly looking forward to a debt-free retirement, or those who plan to upgrade to a larger home within 15 years. But this requires a sincere commitment to making substantially larger monthly payments. Provided the homeowner can afford the financial commitment of a 15-year loan, they will pay significantly less money in interest simply because the life of the loan is spread over a shorter period of time. This will result in a smaller tax deduction over a shorter period of time. However, they need to be aware that unless they are extremely financially secure, even a minor setback can have a tragic impact on their ability to make mortgage payments on time and in full. The bottom line is that it's probably not a good idea to put all available cash into a mortgage payment and lose any hope of a financial cushion in the event of emergency. A less vulnerable approach is to consider making principal prepayments on a 30-year loan, or to invest the extra dollars into another type of asset accumulation account. Here the compelling question is, is it better to take the risk of a non-guaranteed investment, or bank on the guaranteed savings on mortgage interest? Making prepayments on a 30-year loan is often deemed to be the safer route, and the borrower can make the extra payment when they want to, rather than through obligation. If the homeowner has made less than a 20% down payment, principal prepayment offers them the ability to have their loan reviewed by the lender for the purpose of removing any private mortgage insurance payment (PMI) earlier than expected. First, the borrower needs to discuss prepayment procedures with their lender, and take into consideration whether there is any prepayment penalty associated with their financing before initiating prepayments. They should also note that principal prepayment reduces mortgage interest, which is tax deductible. Depending on what their tax bracket is, this may or may not be beneficial to them. If the extra money is invested in some other vehicle, the earnings will be reduced by taxes (unless the money goes into a tax-exempt fund). The borrower should compare the mortgage rate to the rate of return on another type of investment, and decide if it makes more sense on an after-tax basis to invest the extra money somewhere else and have the ability to liquidate those assets if necessary. Bi-weekly mortgage plans are another option for building equity at a faster rate, but consumers should be wary of companies that ask for a setup fee and monthly charges. The most important thing to note is that each client has different goals. These are just a few options for building equity. The Mortgage Place, Inc. is a registered mortgage broker with the New York Department of Financial Services. Loans are arranged through third party providers. NMLS# is 872824.